The Catcher in Rye is the ultimate novel for disaffected youth, but it's relevant to all ages. 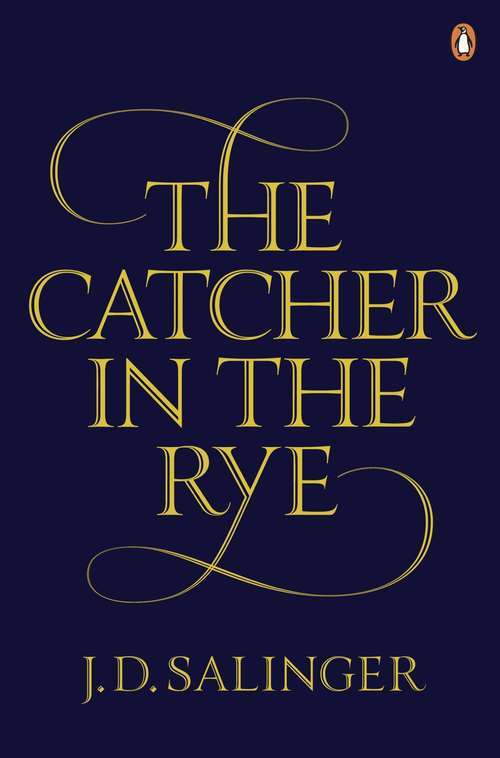 The story is told by Holden Caulfield, a seventeen-year-old dropout who has just been kicked out of his fourth school. Throughout, Holden dissects the 'phony' aspects of society, and the 'phonies' themselves: the headmaster whose affability depends on the wealth of the parents, his roommate who scores with girls using sickly-sweet affection. Lazy in style, full of slang and swear words, it's a novel whose interest and appeal comes from its observations rather than its plot intrigues (in conventional terms, there is hardly any plot at all). Salinger's style creates an effect of conversation, it is as though Holden is speaking to you personally, as though you too have seen through the pretences of the American Dream and are growing up unable to see the point of living in, or contributing to, the society around you. Written with the clarity of a boy leaving childhood, it deals with society, love, loss, and expectations without ever falling into the clutch of a cliche.